If you’re looking for all out horsepower for your supercharged Cobra, the Whipple W245HPR is what you need! 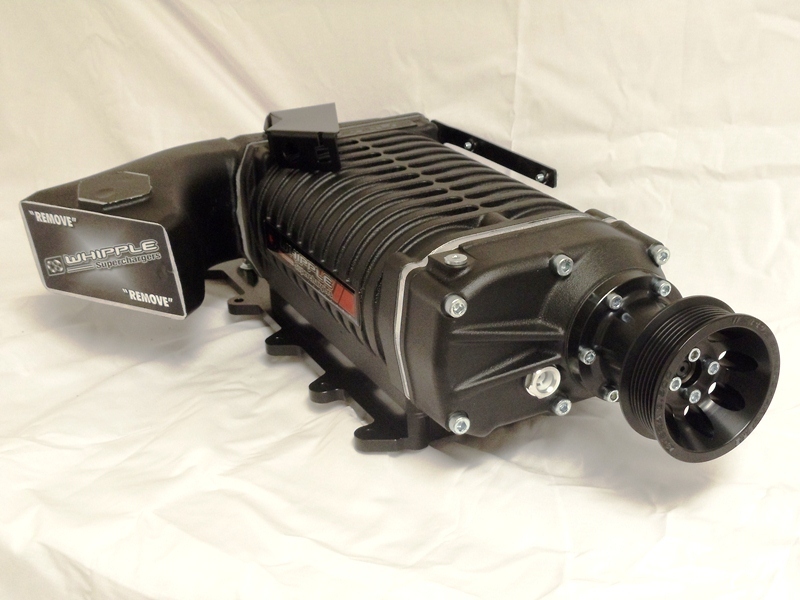 At 4.0 liters of air per revolution, the Whipple Supercharger gives you the ability to produce more power than any other positive displacement supercharger available today. With its enormous flow potential, the Whipple can produce more power per lb of boost by taking less HP to operate and dramatically cooler temps. From 15psi to 30psi, the Whipple W245HPR Cobra system will give you all the ability you could ever crave. The massive size of the W245HPR isn’t the only benefit, as Whipple, the pioneers of twin screw compressors have also increased the built-in-volume ratio of the supercharger to increase it’s performance at the Cobra’s higher boost levels (17psi+). The higher pressure ratio allows for less air leakage back through the rotor housing, giving you both cooler air charge temps and lower parasitic losses. The new Whipple Cobra system also boast many other benefits such as a increased capacity rear inlet housing to help keep up with the large airflow demands as well as a wide open discharge for increased plenum area, which is ideal for proper air distribution over the air-to-water intercooler core. The massive flow potential of the SC also allows for larger SC pulleys, which give you increased belt contact surface for less slippage. The new system also features an oversized air-bypass valve for cooler discharge temps and lower parasitic losses during vacuum operation, as well as on/off throttle movements. The Whipple W245HPR Cobra kit not only offers a better supercharger, but the potential to have one of the fastest, most powerful street machines on the road today. Systems require aftermarket fuel rails for proper fitment around supercharger inlet. Systems are also designed around single mono-blade throttle bodies such as Accufab’s. Instant boost and more low end torque than any other supercharger. Fits under the stock hood, no nothching required with optional Whipple K-member spacer kit. 245 cubic inch vs. 90 cubic inch. Far greater power potential than smaller superchargers, roots, TVS and twin-screw. Crusher inlet for massive airflow capacity. Massive crusher mono-blade billet throttle body with 1900cfm capability. Massive 123mm round MAF housing for over 2000cfm capacity. Far greater airflow than "oval" style MAF's. Massive 123mm plastic inlet tube. Massive "true flow" 9" S&B filter with high flow venturi inlet. HPR (High Pressure Ratio) discharge port design for higher efficiency at boost levels over 15psi. Indsutry leading fit and finish. Available in black, polished or a custom color (contact Whipple).